Description: 11.1 sq. m. interior, 5.4 sq. 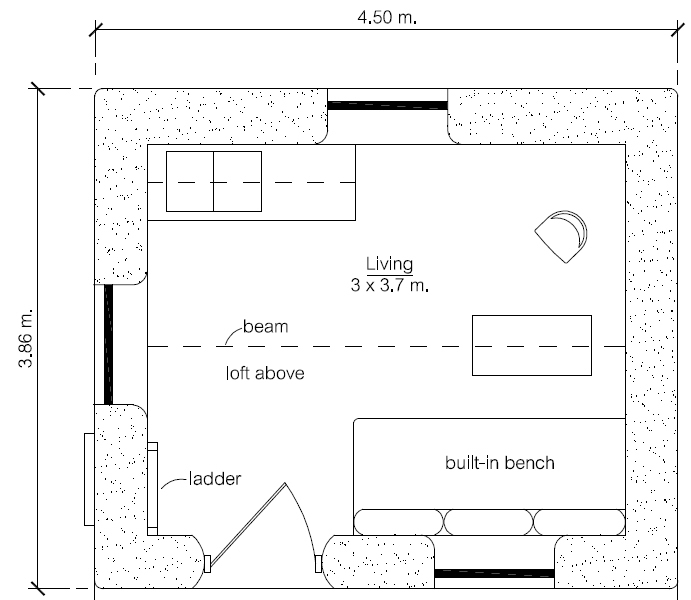 m. sleeping loft, 11.2 sq. m. patio for cooking and socializing. Single units can be expanded by adding on in any direction or joined to create multi-unit structures. 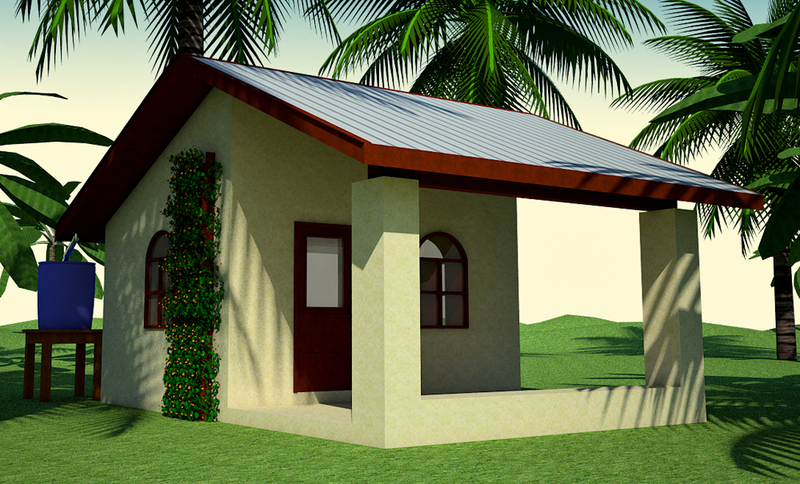 Almost all materials are free or recycled: grain bags, rubble, clay, door, security bars, earthen plaster and floors, or locally available, natural materials: bamboo, rice hull insulation. This is my entry for ‘The $300 House Open Design Challenge.’ Over the next two weeks I’ll be adding more drawings and fleshing out my proposal. 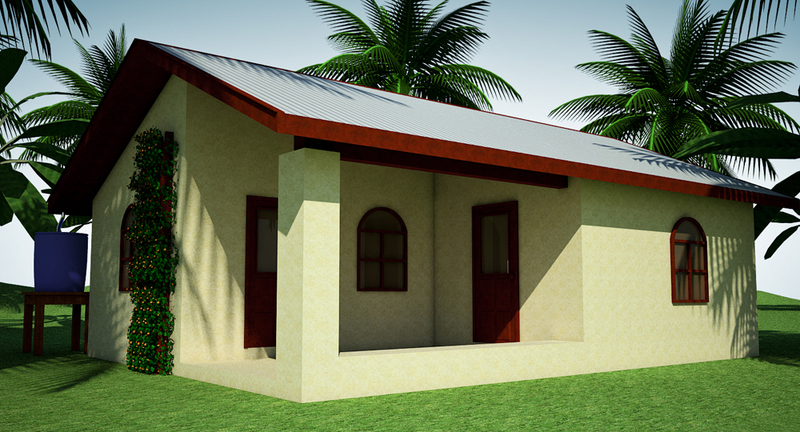 The challenge is to design affordable housing for the world’s poorest. You can view other proposals here. Several other earthbag house designs have already been submitted. The $300 House was first described in a Harvard Business Review blog post by Vijay Govindarajan and Christian Sarkar. More info at The $300 House. This is the same house with two rooms added on. One of the key advantages of this design is the ability to add on in any direction, so I wanted to show what this could look like. 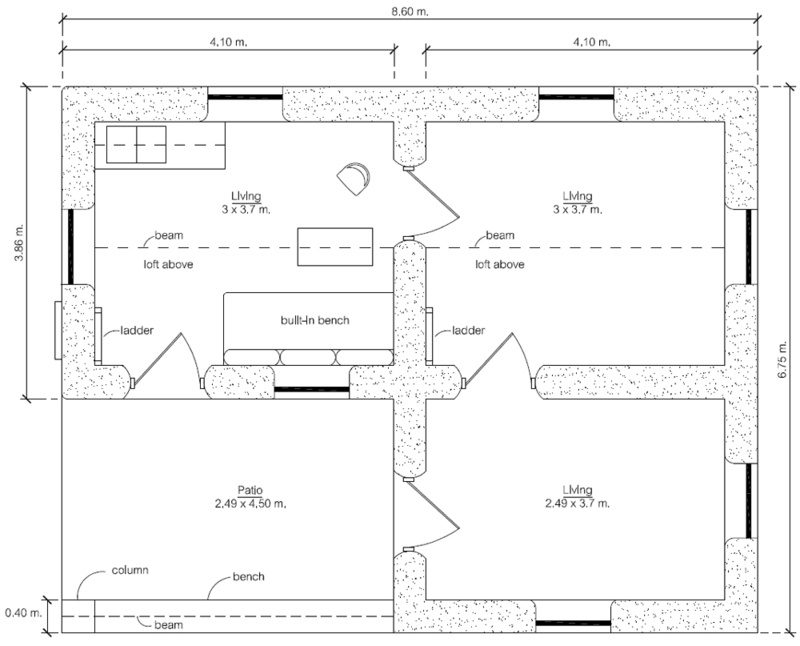 This larger version doubles the living area from 27.7 to 55.4 sq. meters, including the porch.